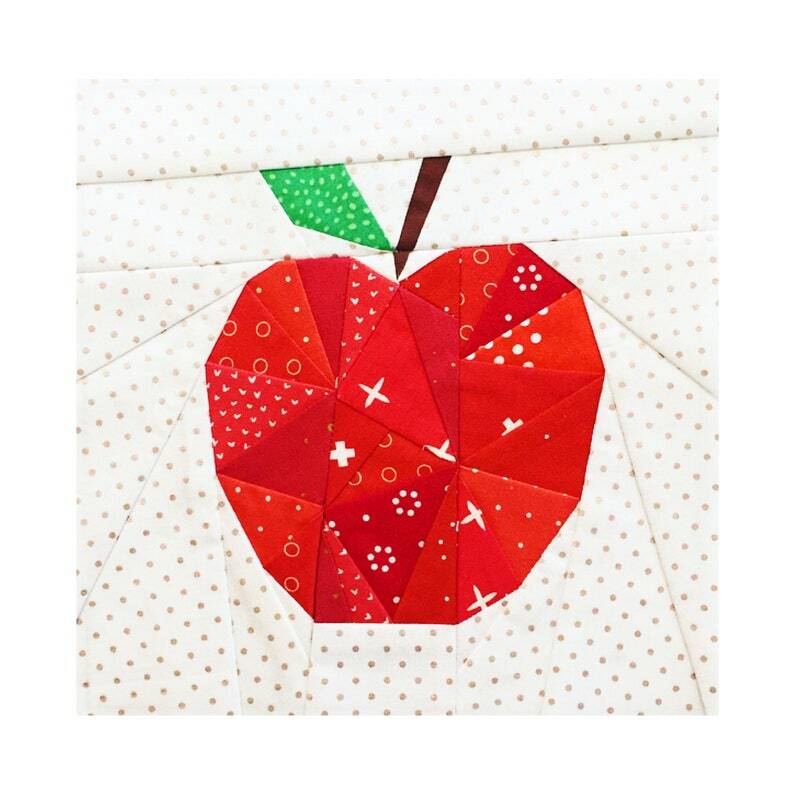 Make one apple or make an entire bushel with this foundation paper pieced apple pattern! It's perfect for teacher appreciation gifts or simply apple lovers. The best part? It's customizable! Create an entire apple, or take a bite out of it! Pattern includes instructions for making a whole apple, an apple with one bite and an apple core. This confident-beginner pattern includes templates and assembly instructions to make the 8" block. An assembly diagram may also be used as a coloring sheet to plan your apple in advance. Tutorial of how to foundation paper piece is not included.